The U.S. economy added 227,000 jobs in January in the last employment report of the the Barack Obama administration. Unemployment was little changed at 4.8%, according to figures released this morning by the U.S. Bureau of Labor Statistics. President Donald Trump is inheriting a relatively strong economy based on years of work that Barack Obama and his administration did to bring us out of the horrible recession brought on, in part, because of George W. Bush-era deregulation and weak enforcement. 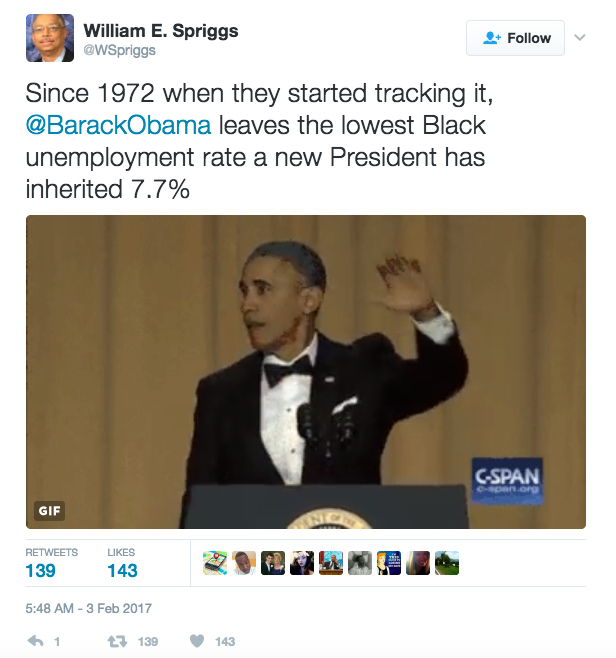 Obama inherited a failing economy, with 589,000 jobs lost in January 2009 and an unemployment rate in February 2009 of 7.6%. 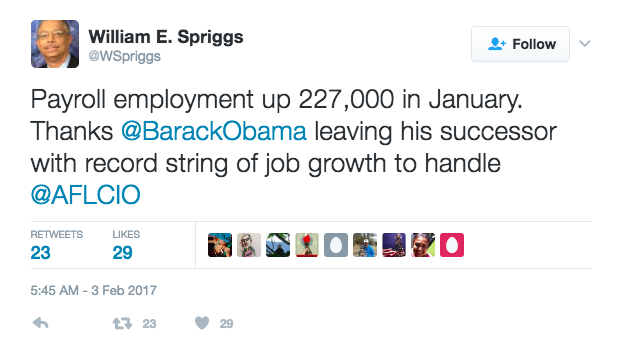 Trump, on the other hand, is inheriting a much stronger jobs market, with 227,000 jobs added in January 2017 and an unemployment rate of 4.8%. Trump’s challenge is to continue the pattern of job growth and rising wages. The administration needs to create policies benefiting working people so the recovery continues. Last month’s biggest job gains were in retail trade (46,000), construction (36,000), financial activities (32,000), food services and drinking places (30,000), professional and technical services (23,000), health care (18,000), transportation and warehousing (15,000), professional and business (15,000), and financial activities (13,000). Employment in other major industries, including mining and logging, manufacturing, wholesale trade, transportation and warehousing, information, and government, showed little change over the month. Among the major worker groups, the unemployment rate for Asians (3.7%) increased in January. The jobless rates for adult men (4.4%), adult women (4.4%), teenagers (15.0%), whites (4.3%), blacks (7.7%) and Hispanics (5.9%) showed little or no change over the month. The number of long-term unemployed (those jobless for 27 weeks or more) was little changed in January and accounted for 24.4% of the unemployed. 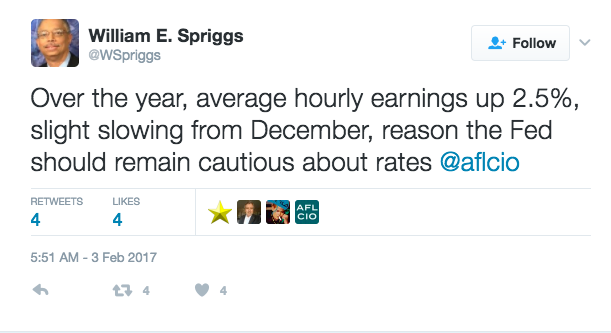 This blog originally appeared in aflcio.org on February 3, 2017. Reprinted with permission. Companies in the nation’s second-largest city must stop requiring job applicants to disclose criminal convictions on hiring forms next year after Los Angeles Mayor Eric Garcetti signed a “Ban the Box” law there on Friday. The law does not prevent companies from conducting background checks once they have made a conditional job offer to a finalist. But it eliminates a standardized checkbox question about previous run-ins with the law, a common feature of job paperwork that makes it much harder for people to get back on their feet after serving their time. Firms with fewer than 10 employees are exempt from the law. Sometimes called fair-chance hiring laws, such restrictions on how hiring managers solicit information about applicants’ criminal histories have grown in popularity over the past few years. But the laws have typically applied only to hiring that involves taxpayer money, at government agencies and vendors who do business with the government. When President Obama moved to ban the checkbox last year, the executive action he took was limited to federal government hiring. Out of 24 states with fair-chance hiring laws, just nine extend to the private sector. Los Angeles is the 15th local jurisdiction to extend ban-the-box thinking to private firms. Among the five largest American cities, only Houston has yet to ban the checkbox. Between 60 and 75 percent of people coming out of prison are unable to find work in their first year back on the street. Research indicates that an applicant’s chances of a callback drop by half if they indicate a criminal record—though white applicants who check the box fare significant better than black ones. There is also evidence that people who get far enough into the process to actually meet with a company representative are much more likely to get an offer despite their record—a key argument for eliminating the check-box filtering mechanism. The idea’s spread during the latter years of Obama’s tenure seemed emblematic of the broader re-evaluation of a criminal justice system that is more punitive than rehabilitative. Formerly incarcerated people and their supporters rallied in front of the White House in 2015 to call for action, sharing stories of the hardships they faced in finding legitimate work after re-entering society. The administration’s eventual move on hiring paperwork was just one in a flurry of progressive reforms to the incarceration system, all of which may be in jeopardy once president-elect Donald Trump takes office in January. Americans leaving prison face high hurdles to regaining their economic and social footing without returning to crime. These obstacles are complicated to dismantle, rooted as they are in societal and individual prejudices about people with criminal pasts. 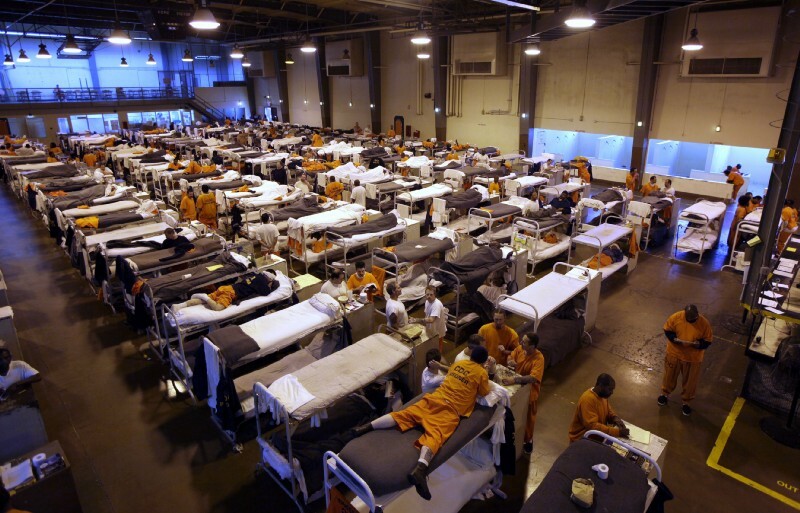 Policy changes can’t will charity into people’s hearts, of course, and there’s even some evidence to suggest that personal prejudices around the formerly incarcerated are so entrenched that fair-chance laws trigger ugly unintended consequences. Two groups of researchers have published analyses suggesting that hiring managers simply begin ruling out young black men by default when they know they can’t ask about criminal history in the initial stages of their search. One of those studies outright argues that banning the checkbox does more harm than good. But as the National Employment Law Project notes, that analytic conclusion gets things backward. This blog originally appeared at Thinkprogress.org on December 13, 2016. Reprinted with permission. Alan Pyke is the Deputy Economic Policy Editor for ThinkProgress.org. Before coming to ThinkProgress, he was a blogger and researcher with a focus on economic policy and political advertising at Media Matters for America, American Bridge 21st Century Foundation, and PoliticalCorrection.org. He previously worked as an organizer on various political campaigns from New Hampshire to Georgia to Missouri. His writing on music and film has appeared on TinyMixTapes, IndieWire’s Press Play, and TheGrio, among other sites. Follow @PykeA on Twitter. The vast majority of undocumented immigrants who have been given the temporary ability to legally work in the United States are currently employed or attending school—helping them make “significant contributions” to various labor markets—according to a national survey released Tuesday by immigrant advocacy groups. The survey took a look at 1,308 people who received legal work authorization and deportation relief through the Deferred Action for Childhood Arrivals (DACA) initiative, an 2012 executive action from the Obama administration aimed at assisting undocumented immigrants who grew up here in the United States. According to the report, 95 percent of survey respondents are currently employed or enrolled in school. And nearly two-thirds of them reported receiving better pay under DACA, with almost half saying they found a job that “better fits my education and training.” Others said they now have a job with better working conditions. The report also found that DACA recipients have gone into industries like educational and health services, nonprofit work, wholesale and retail trade, and professional and business services. Close to 6 percent of respondents started their own businesses—twice as high as the entrepreneur rate among the general American public. The impact of DACA recipients on the U.S. economy has been enormous. Average hourly wages for DACA recipients have gone up by 42 percent, roughly an increase from $9.83 per hour to $13.96 per hour, according to the survey. More than half of all respondents said they recently purchased their first car, while 12 percent purchased their first home. This survey echoes findings from a similar report conducted last year, which found that DACA recipients were able to get jobs that better matched their skills and that paid them better wages. About 741,546 undocumented immigrants have benefited under DACA as of mid-September, according to the latest U.S. Citizenship and Immigration Services (USCIS) data. However, GOP presidential nominee Donald Trump—who typically refers to immigrants in disparaging terms and has promised to build a wall between the United States and Mexico—has indicated that he would dismantle the DACA initiative altogether if he becomes president. This blog was originally posted on ThinkProgress on October 18, 2016. Reprinted with permission. Esther Yu-Hsi Lee is the Immigration Reporter for ThinkProgress. She received her B.A. in Psychology and Middle East and Islamic Studies and a M.A. in Psychology from New York University. A Deferred Action for Childhood Arrivals (DACA) beneficiary, Esther is passionate about immigration issues from all sides of the debate. She is also a White House Champion of Change recipient. Esther is originally from Los Angeles, CA. What is in the rule, which the members of Congress who signed the letter don’t like, is a long overdue increase in the salary an employee must be paid if an employer wants to avoid paying overtime. The current rule sets that exemption threshold at $23,660 a year—below the poverty line for a family of four. The proposed rule, as the representatives note, “would raise the salary threshold and require employers to pay overtime for all employees who make $50,440 or less per year.” The signers don’t like that, but the reasons they give don’t hold water. The letter says the increase in the threshold would suddenly make 5 million employees eligible for overtime pay. That’s true, and it’s a good thing. Making employers pay their employees extra when they work more than 40 hours in a week is the purpose of the Fair Labor Standards Act. It’s good for those employees and their families, whether they get paid more or are simply allowed to spend more time with their families. And because it applies to all employers equally, it will not create competitive burdens. The representatives claim the proposed salary threshold somehow fails to take into account the fact that “the purchasing power of a dollar is drastically different in various parts of our country.” But the claim is ridiculous. The point of the salary threshold is that workers paid less than this amount—even if they are classified by their employers as managers or executives—are automatically entitled to overtime protections. Essentially, this threshold separates workers with genuine managerial and professional responsibility, who have substantial autonomy over their work schedule and have real bargaining clout with their employers, from those workers who are simply labeled “managers” (often by employers precisely looking to avoid the obligation to pay overtime) but who nevertheless can be compelled to work long hours.
? 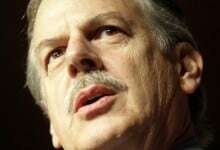 A Kentucky judge ruled against a county-level anti-union law.
? Wage theft, sexual assault, and no sick leave: The horrible conditions facing poultry workers. Jessica Reid Sliwerski, 34, worked at Success Academy Harlem 1 and Success Academy Harlem 2 from 2008 to 2011, first as a teacher and then as an assistant principal. She said that, starting in third grade, when children begin taking the state exams, embarrassing or belittling children for work seen as slipshod was a regular occurrence, and in some cases encouraged by network leaders.
? A war on teachers in Virginia.
? John Kasich is riding high in the Republican presidential primary, at least temporarily, so let’s take a look at Kasich’s education record. This blog originally appeared in dailykos.com on February 13, 2016. Reprinted with permission. WASHINGTON. 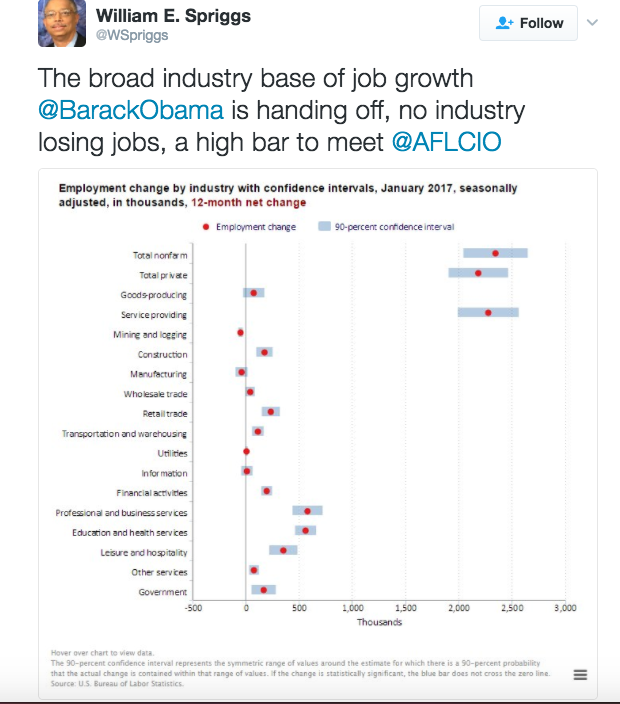 D.C.—Last night, President Obama gave his State of the Union address before a joint session of Congress—but barely mentioned unions. The president did touch on a number of issues important to workers—such as increasing manufacturing in America, taxing the rich more equitably, increasing education funding and increasing enforcement of trade laws—but said nothing about increased attacks on workers’ rights around the country during the last 12 months. This despite 2011 being the a year in which unions (especially those representing public-sector workers) have been under unprecedented attacks in places like Wisconsin, Ohio and Indiana. The only time Obama explicitly mentioned a union was in reference to “Master Lock’s unionized plant” in Milwaukee, which he said is now running at “full capacity” because the company brought back jobs from overseas. At the beginning of his speech, Obama said: “At the end of World War II, when another generation of heroes returned home from combat, they built the strongest economy and middle class the world has ever known.” However, he did not mention the fundamental role that unions played in building that middle class. Unions represented nearly one-third of all workers in the decade following World War II. Teachers matter. So instead of bashing them, or defending the status quo, let’s offer schools a deal. Give them the resources to keep good teachers on the job, and reward the best ones. And in return, grant schools flexibility: to teach with creativity and passion; to stop teaching to the test and to replace teachers who just aren’t helping kids learn. That’s a bargain worth making. While praising GM’s return to profitability, Obama did not mention how, despite the auto industry returning to profitability, the industry has done nothing to eliminate a two-tier wage system that was implemented as part of the bailout. The UAW did not return request for comment on the president’s section of the speech. Kim Bobo, executive director of Interfaith Worker Justice, criticized the speech for failing to emphasize the importance of protecting living standards and workers’ rights. “We need a national jobs policy that creates enough jobs for all those who are able to work, raises core standards around living wages and family-supporting benefits, stops and deters wage theft, and ensures that public and private sector workers have the right to collective bargaining,” she said in a statement Wednesday. President Obama’s speech tonight shows that he has listened to the single mom working two jobs to get by, to the out-of-work construction worker, to the retired factory worker, to the student serving coffee to help pay for college. …And tonight he made clear that the era of the 1% getting rich by looting the economy, rather than creating jobs, is over—what a contrast to the vision presented by presidential candidates squabbling over how much further to cut the taxes of the 1%. 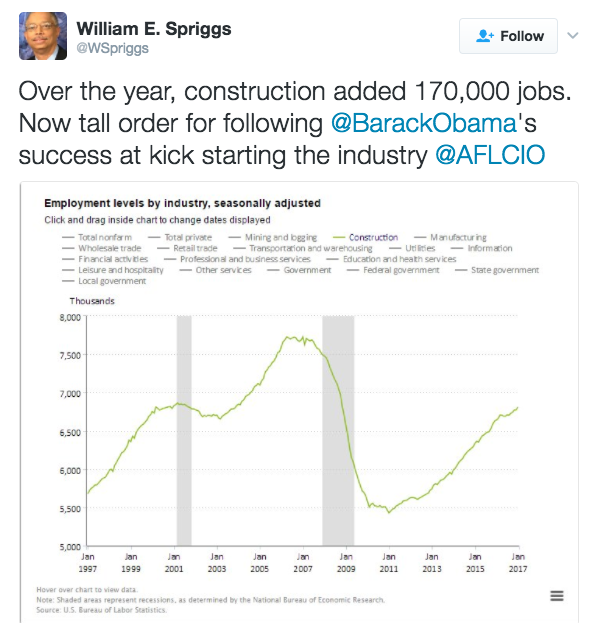 President Obama has listened to us as American workers and laid out a vision of the America we want and need, one that creates jobs and prosperity for us and not the 1% who have looted the economy….The President’s commitment to discourage job outsourcing and promote insourcing is a ticket to a better economy. We especially applaud the announcement to renew his policy to get tough on trade enforcement with a new unit to bring together resources and investigators from across the government to go after unfair trade practices in countries around the world, including China. Surprisingly, though, Daniels didn’t say anything about unions. At least from my perspective last night, it was as if the massive fights for collective bargaining rights we witnessed in Wisconsin and Ohio last year (which, of course, continue in Wisconsin) never even happened. Full disclosure: the UAW and USW are In These Times sponsors. This blog originally appeared in inthesetimes.com on January 13, 2016. Reprinted with permission. Mike Elk is a labor journalist whose investigative work has been cited on the front page of the New York Times and debated by Whoopi Goldberg and Barbara Walters on ABC’s The View. Elk won a Sidney Award for his coverage of how corporations crafted legislation to exempt prison labor from U.S. minimum wage laws. Elk has also written for the New York Times, the Washington Post, Reuters and The Nation and is currently a reporter at Politico. President Obama transformed his last State of the Union speech last night into his first farewell address. From his opening twitting legislators for being “antsy” to get back to Iowa, the president acknowledged that in an election year, with a bitterly obstructionist Congress planning to spend less than 90 days in session, not much is likely to get done. Instead of an agenda for action, he offered instead an eloquent summation – and large doses of common sense. The common sense was a necessary corrective to the stuff and nonsense of the political campaign trail. Noting the progress made in recovering from the Great Recession, the president reminded that the U.S. economy is the “strongest and most durable in the world,” now enjoying the longest streak of months with jobs creation in its history. In contrast to the hysteria generated by the Trumped-up campaign, he said that the U.S. is the “most powerful nation on earth.” Its military has no competitor; “It’s not even close.” He sought to put the fears fanned by the ISIS and the acts of terror in perspective. We’re threatened less “by evil empires, more by failing states.” ISIS and Al Qaeda terrorists can create terrorist acts across the world. But this is not “World War III,” and it is a disservice to call it that. The terrorists are violent thugs but “do not threaten our national existence.” Needless to say, Republicans immediately panned this common sense and revved up their hysteria. Good sense is a first casualty of terror. The president celebrated the reality that he has begun to transform our energy policy and essentially declared victory in the debate over climate change. The debate is over. The world was acting together to begin to address climate change. And America is leading, with the president claiming that we had cut carbon pollution more than any other country on earth. If the economy is so strong, why are the people hurting? Here, Obama reiterated his passive voice populism. Americans “feel anxious” because we live in a time of “extraordinary change.” Technology is transforming our economy in “profound ways.” That’s why workers have less leverage, companies less loyalty, wealth and income is more concentrated. We have to make change our friend, and navigate its currents. He then offered a sensible, if modest, agenda on education, extending shared security guarantees, greater support for the working poor. But technological change has always been with us. Globalization is the result of policy, not an act of nature. Yes, we have to navigate the changes wrought by technological change. But the reason Americans are “anxious” is that the rules have been rigged to favor the few, not because technology mandates less worker leverage or company loyalty. Yet this populist frame led nowhere. The president offered no agenda for empowering workers, no pledge of executive action to give government contract workers the right to join a union. Instead he pledged only to “lift up many businesses” that are doing the right thing. Similarly on foreign policy, after stating the fact that we are the most powerful nation in the world, the president argued that our challenge is how to exercise leadership without pretending to police the world. Sensibly, he argued this would require a sense of priorities. Yet, he suggested that the U.S. would be on patrol against instability in the Middle East, Afghanistan and Pakistan, Ukraine, Central America, Africa and Asia. The challenge was to mobilize allies to “pull their own weight” in acting with us. But if the U.S. is on guard across the world, then it isn’t surprising that our “allies” as in the Middle East have their own priorities and are happy to let us do the heavy lifting elsewhere. The president returned, somewhat wistfully, to the themes that launched his presidency – the need to recover our sense of one America, to overcome partisan division and discord, the strengths and spirit that sustain us as a nation. In doing so, he reminded us of the historic nature of his presidency, and of the dignity and decency with which he has borne the burdens of office. He also used this theme to call for us to “fix our politics,” to change the system so people don’t think it is rigged in favor of the rich or the powerful or the narrow interests. That requires changing how we draw congressional districts, reducing the influence of big money, and making voting easier, rather than harder. The president pledged to spend part of the next year supporting these reforms at the state and local level, even while pushing against the wall of opposition at the national level. Obama knows how to deliver a speech. Like Lincoln, he uses logic and common sense to stake his position and make his case. He has an author’s care about language. But in trying to describe our common ground, he has chosen not to “litigate the past,” either on our economic course or on our foreign policy follies. At a time when Americans had to learn clearly how failed conservative doctrines had led us into the fix we are in, the president chose not to issue the indictment. That was true at the start of his administration as he inherited a failed war and a collapsing economy. And it is true as his term draws to a close, despite the unrelentingly bitter partisan and ideological opposition he has endured. This blog originally appeared in ourfuture.org on January 13, 2016. Reprinted with permission. Millions of workers who have not been receiving overtime pay would become eligible under a newly announced rule change. According to the Economic Policy Institute, the number of newly overtime eligible workers could be as high as 15 million. The change would update what is known as the “white collar” exemption to the overtime pay rules that covers certain executive, administrative and professional employees. Currently, these types of employees can be classified as “exempt” (meaning not entitled to mandatory overtime pay) so long as they are paid a salary of at least $455 per week ($23,660 per year) – an amount that is below the poverty line for a family of four and that has not been adjusted since 2004. Under the new rules, the minimum salary requirement for exempt white collar workers would increase to $970 per week ($50,440 per year) for 2016 and be indexed going forward to keep pace with inflation. Workers whose salary falls below this level would now be classified as “non-exempt” and guaranteed time-and-a-half for all hours worked over 40 per week. While some big business groups are opposing the proposed changes, claiming terrible economic consequences will result if their labor costs increase; this is nothing new and the same cry that is heard every time they are forced to increase wages. The facts and history do not, however, support their dire warnings. In cities such as San Francisco and Santa Fe where the minimum wage has for years been set well above the federal minimum, and even coupled with other employee benefits such as paid sick leave and health-care, the impacts on employment have been essentially zero. Contrary to the claims of catastrophic job loss and business closing, studies have shown “no measurable” negative effect on employment when cities or states have raised their minimum wage above the federal minimum wage. Historically, increased pay for workers tends to generate a positive feedback loop – workers earn more, spend more, resulting in positive economic activity. To put the pay figures in perspective, look back 40 years. In 1975 the minimum salary amount was adjusted and set to $250 per week. At that time, 65% of the American workforce was paid less – entitling them to overtime pay. Today, however, a mere 11% of the workforce earn less than the $455 per week minimum. Today, the $250 per week minimum salary would equate to more than $980 per week (approximately $51,000 per year) if it had been annually adjusted per the Consumer Price Index. So, to merely keep middle-class workers in the same economic position they were in as of 1975, the current $455 per week minimum salary would need to be increased to at least $980 per week. This is roughly what is being proposed under the new rules. First, to protect against working conditions that are “detrimental to the maintenance of the minimum standard of living necessary for health, efficiency, and general well-being of workers.” The law recognizes that employees need some time off to spend with family and relaxing from often stressful work and provides an economic incentive to not overwork employees. If an employer is going to demand work hours that deprive employees of this precious down time, the law places a premium value on such time – a cost that the employer must cover. Second, requiring the payment of time and a-half for all hours over 40 per week creates and strong economic incentive for employers to hire more people and spread the work, instead of overworking their existing staff. This helps to reduce overall unemployment in the U.S. economy, an issue every bit as relevant today as it was 75+ years ago. The proposed changes to the overtime pay regulations are important to restore fair pay to millions of middle-class workers and are consistent with the overall goals and policy objectives that originally inspired the federal overtime pay laws. About the Author: The author’s name is Jillian Johnson. 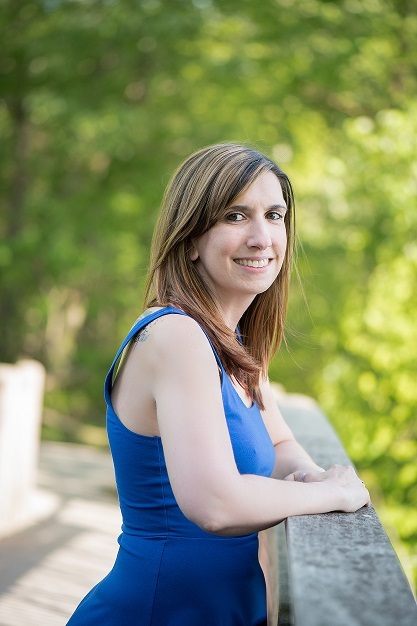 Jillian Johnson is a freelance writer from New Jersey who has contributed to an array of blogs of various industries, particularly business, finance and health. She freelanced for a local NJ parenting magazine “Curious Parents” magazine and wrote for her college newspaper, “The Tower,” ultimately becoming the Editor-in-Chief. Jillian holds a BA in Communications and is currently working towards a BSN. President Obama’s administration took another promised step on Tuesday towards raising the living standards of American workers, and Republicans and business groups are not likely to be able to stop it. Using the administration’s power to update workplace rules regarding premium pay for overtime work, the Department of Labor on Tuesday began taking steps that could bring higher pay or more leisure time to an estimated 5 million middle-income workers by next year. Business and conservative groups are likely to try to block the new overtime rules with court challenges and legislation, just as Republicans are still blocking President Obama’s modest proposed legislative increase in the minimum wage to $10.10 for low-income workers. But the political and legal winds favor the administration. There’s a strong legal and factual case for the Department of Labor’s action. The current regulations are grossly out-of-date and out of sync with the intention of the original legislation. According to administration calculations, the new rules should give at least 5 million middle-income workers a boost in pay if they work more than 40 hours a week or fewer unpaid hours at work and more time for themselves and their families if they are not forced into overtime work. Now all hourly workers are guaranteed time-and-a-half pay for working more than 40 hours, but the rules do not require employers to pay time-and-half to salaried workers who make over $23,660 a year—even though that is below the poverty line for a family of four. Salaried workers below the threshold are regarded as being social equivalents to hourly workers. In 1975, 62 percent of salaried workers earned beneath the threshold and were guaranteed overtime pay by law, according to Ross Eisenbray of the Economic Policy Institute, but today the threshold only protects 8 percent of salaried workers. The new rules with a threshold of nearly $51,000 a year would provide overtime protection to about 44 percent of salaried workers. If a salaried worker earns above the threshold and is a bona fide executive, administrative or professional employee, the employer does not have to pay him or her overtime. But this “white-collar exemption” is now widely abused, and employers give nominal managerial titles and a few administrative tasks to people in order to avoid paying time-and-a-half for more than 40 hours of work. Christine Owens of the National Employment Law Project, a pro-worker research and advocacy group, also wants the new rules to more adequately define the kind of work that qualifies for the white collar exemption. At this point, the Labor Department has not proposed such revisions in defining who is a manager or professional. “While we appreciate that doubling the salary threshold will extend overtime pay protections to millions of currently exempt workers,” she wrote in an organizational statement on the rules, “we are concerned that failure to address the existing tests’ vague definitions, laissez-faire approach to the mix of ‘salaried’ and ‘hourly’ duties required for exempt status and other shortcoming threaten to deny far too many workers the overtime pay protections they deserve and the statute contemplates.” NELP, for example, wants the rules to state that exempt workers cannot spend more than half of their time on non-exempt work. With unions at their weakest since the 1920s, more public policy action to raise wages is necessary, not only for minimum-wage workers but also for middle-income workers, such as those protected by overtime rules. Also, inequality continues to grow. University of California at Berkeley economist Emmanuel Saez recently calculated that despite recent growth in income of workers in the bottom 99 percent (an increase of 3.3 percent from 2013 to 2014), top 1 percent incomes grow faster and families in that sliver of the population captured 58 of real income growth per family from 2009 to 2014. Overtime protection alone won’t reverse that trend, but it will make a real difference in the incomes and quality of life for millions of working families. This blog was originally posted on In These Times on July 1, 2015. Reprinted with permission.